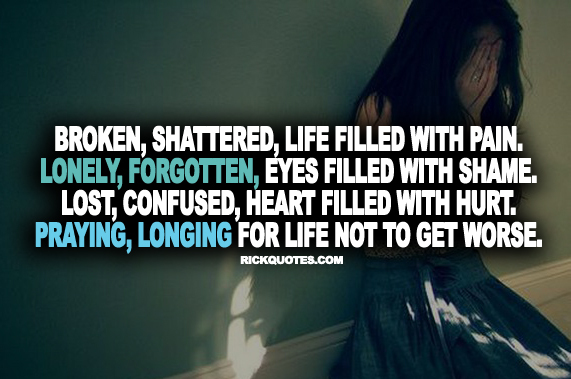 Life Quotes | Broken, Shattered, Life Filled With Pain. Lonely, Forgotten, Eyes Filled With Shame. Lost, Confused, Heart Filled With Hurt. Praying, Longing For Life Not To Get Worse.